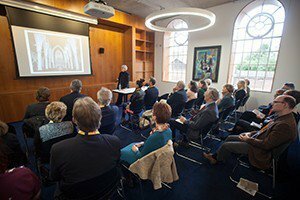 With the opening of the Cohen Quadrangle, Exeter College can offer the full range of meeting rooms from the modern Fitzhugh Auditorium to the more traditional meeting rooms on our Turl Street site. 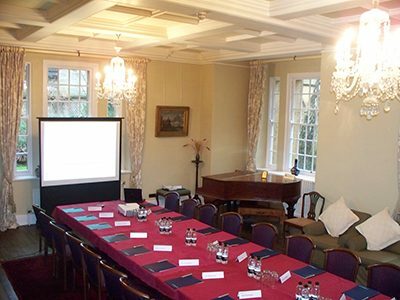 All meeting rooms have WiFi coverage and audio-visual equipment. The Fitzhugh Auditorium can seat 110 delegates in a light, pleasing, environment. 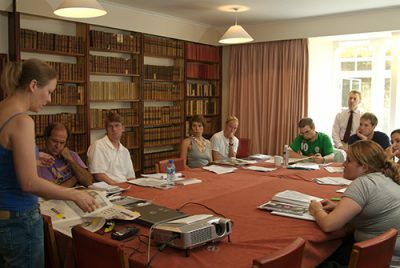 This is complemented by a further six meeting rooms suitable for all sizes of groups. 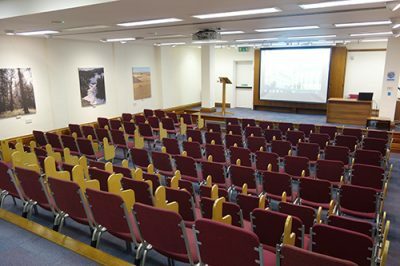 The Saskatchewan Lecture Theatre ~ A fully equipped air-conditioned lecture theatre with seats for up to 120 delegates. All the chairs are fitted with removable writing tablets. Quarrell Room ~ Adjacent to the Saskatchewan Lecture Theatre, the Quarrell Room provides a distinctive and agreeable space for lectures, seminars and meetings. 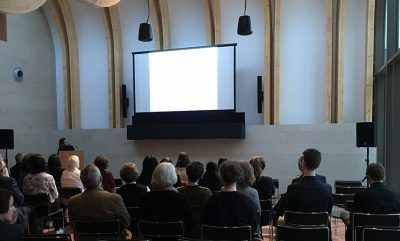 The tables and chairs can be rearranged to suit the function of the room. Rector’s Drawing Room ~ with plenty of natural light and views on to the Rector’s private garden, the Rector’s Drawing Room makes an ideal location for a boardroom meeting or presentation. 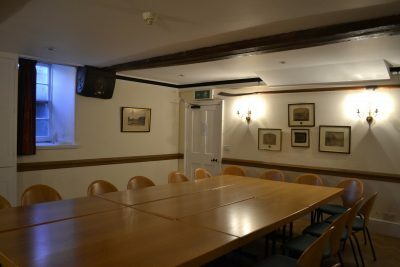 Stapeldon Room ~ with oak beams and pictures of past boating successes, the Stapeldon Room is well suited for seminars or as a breakout room. Morris Room ~ named after the alumni William Morris, the walls display some of his tapestries and a number of Burne-Jones drawings. 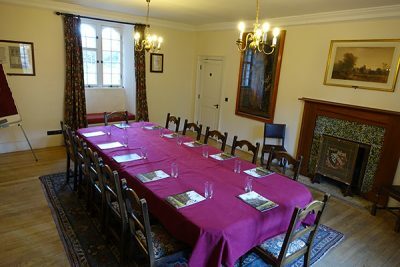 Suitable for a boardroom for 12 with views onto the Fellows’ Garden and the Front Quad.